______________________ To post news in Society Page, send e-mail to geotimes@agiweb.org with the subject: Society Page. G. Brent Dalrymple, retired professor from Oregon State University, and Eugenie C. Scott, executive director of the National Center for Science Education (NCSE), are the 2001 recipients of the Geological Society of America’s (GSA) Public Service Award. Dalrymple is the author of the 1991 book The Age of the Earth, which explained for a public audience how radiometric dating techniques show our planet to be at least 4.5 billion years old. The awards will be presented at the GSA meeting in Boston, on Nov. 4. The GSA Public Service Award was established in 1998 in honor of Eugene and Carolyn Shoemaker. Hats off to a wonderful teacher! John Southard, a retired professor at the Massachusetts Institute of Technology and chief content editor for AGI’s curriculum projects, is the 2001 National Association of Geoscience Teachers (NAGT) Neil Miner Award winner. The award recognizes exceptional contributions to the stimulation of interest in the earth sciences. “John deservedly joins an elite group of geoscience educators,” says Steve Semken, NAGT president and one of Southard’s former students. “He promotes enthusiasm and is a world-class teacher.” Southard graduated from MIT in 1960 and received his doctorate from Harvard in 1966. “As a professor at MIT ... he excelled in mentoring undergraduates,” Semken says. Southard continues teaching through his work on AGI’s Earthcomm and Investigating Earth Systems curricula. The award will be given on Nov. 5, at the GSA annual meeting in Boston. 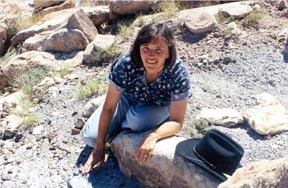 The NAGT 2001 James H. Shea Award for geological writing goes to Sarah Andrews, author of the Em Hansen forensic geology novels and part-time instructor at Sonoma State University in California. “Sarah Andrews has the enviable quality of being able to educate, entertain and evoke excitement about geology,” says geologist Marjorie Chan of the University of Utah. “As a professionally trained geologist, she has taken her knowledge, background and experience, and combined it all into stories of mystery.” Andrews has published six forensic geology novels; her seventh, Fault Line, is scheduled for release in January 2002. Sarah Andrews examines a bone fragment at the Cleveland-Lloyd Dinosaur quarry in Utah. Photo by Damon Brown. The American Geological Institute will award Michel T. Halbouty of Halbouty Energy Company its 2001 Legendary Geoscientist Award on Nov. 4 at the GSA meeting in Boston. Halbouty, 92, was born in Beaumont, Texas. He attended Texas A&M University as an undergraduate and a graduate, earning his professional geological engineering degree in 1956. Ten years later, he received a doctorate in engineering from Montana College of Science and Technology. But his degrees go beyond the United States. In 1990, the USSR Academy of Sciences awarded Halbouty a geosciences doctorate degree, the only such honor the academy has bestowed to a scientist outside the Soviet Union. The University of Nanjing, People’s Republic of China, presented him with an Honorary Professorship in Geology in 1993. The degree recognized his many years of lecturing to students, academics and geoscientists of numerous governmental agencies throughout China, as well as his numerous contributions to the advancement of petroleum geology in China. Halbouty began his career as a geologist and petroleum engineer with an independent oil company and later as a consultant before becoming chairman of the Michel T. Halbouty Energy Company, which he founded. 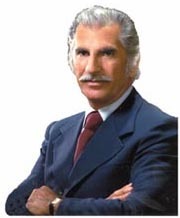 Throughout his career, he has been engaged in the exploration and production of oil and gas. He is the author of more than 300 articles on geology and petroleum engineering, including several contributions on petroleum for encyclopedias. Several of his papers have been translated into Spanish, Russian, Chinese and German. His scientific articles are read worldwide and are used in university and college classrooms as required reading for geology and engineering students. Halbouty was Chairman of the Board of Halbouty Alaska Oil Company, known as Halasko, which was the first independent company to discover a gas field in Alaska. AGI and the AGI Foundation created the Legendary Geoscientist Award in 1999 to recognize lifetime achievements in the geosciences. Previous recipients are J. David Love and Konrad Krauskopf. For more information on Michel Halbouty read: War Without End: The Story of Michel T. Halbouty’s Struggle for American Energy Security by Jack Donahue (Gulf Publishing Co., Houston, 1990). 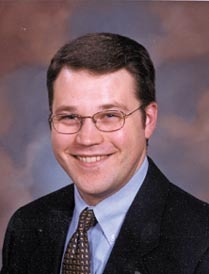 David Curtiss celebrated his 31st birthday on Halloween this year as the American Geological Institute’s 2001-2002 Congressional Science Fellow. Curtiss spent much of his early life growing up in Austria, where he gained an outside perspective of the American decision-making process. His interest in gaining an inside understanding of U.S. politics developed while working at the Energy and Geoscience Institute at the University of Utah and before then as a graduate student obtaining his master’s of Earth Resources Management at the University of South Carolina. Curtiss will be one of 39 congressional science fellows spending this year on Capitol Hill. 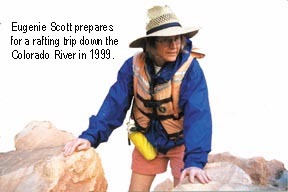 Other geoscientists include Geological Society of America/U.S. Geological Survey fellow Chester “Skip” Watts, on leave from Radford University where he is a geology professor and director of the Institute for Engineering Geosciences. This year’s American Geophysical Union fellow is Karen Weyland, who recently received her Ph.D. in environmental geochemistry from Michigan State University. Weyland will be working for Sen. Harry Reid (D-Nev.). Phillip Owens, currently finishing up his doctorate in soil science at Texas A&M, will start in January as the Soil Science Society of America’s fellow.